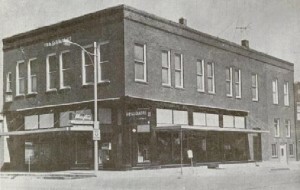 The first furniture store in Ashland and Saunders County was owned and operated by S.H. Nichols, who came to Ashland in 1869. Harford from 1906 until 1923 and the business became known as O.D. Harford, Furniture and Undertaking. In 1921, Kenneth Marcy, who was native to Ashland, married Harford’s daughter, Florence Harford, and went into the firm in 1923. After O. D. Harford’s death in 1923, the business was known as Marcy & Blair. Mr. Blair died in 1933 and Marcy continued operating with the new name of Marcy & Company. In 1946, B. L. (Joe) Perryman of Sioux Falls, South Dakota, became associated with Marcy & Company and in 1959, he and his wife (Clara Louise Marcy, daughter of Kenneth Marcy) assumed management of the business. After Perryman’s death in 1979, his daughter, Pat (Perryman) Hodges ran the operation until James J. Svoboda, a third generation mortician, of Wahoo, purchased it in 1984, merging two of the oldest funeral homes in Saunders County. The furniture side of the business had ended and “furniture corner” was sold in 2003. James owned Marcy Mortuary until Don Fick of Ithaca, who was associated with the business in the 1980’s, bought it in 2004. Don and Lois Fick owned and operated the business until Mark and Shasta Pentico purchased the mortuary on October 31, 2012. The firm continues to operate under the name Marcy Mortuary. The original frame building that was used as the furniture store and for the sale of burial goods was moved to the rear of the lot, and the present brick building was built in 1903. In 1925 this building was enlarged on the north. 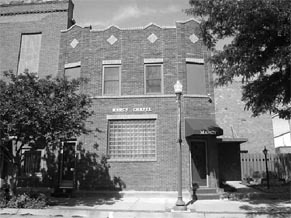 In 1931 the old building burned and Kenneth Marcy hired men to build the chapel with the understanding they would receive half of their wage in cash money and half would apply to their bill at the store or mortuary. The building has been well maintained inside and out. The display monuments on the outside northeast corner were added in the 1980’s and the inside is continuously being updated to preserve the longstanding history of Marcy Mortuary.